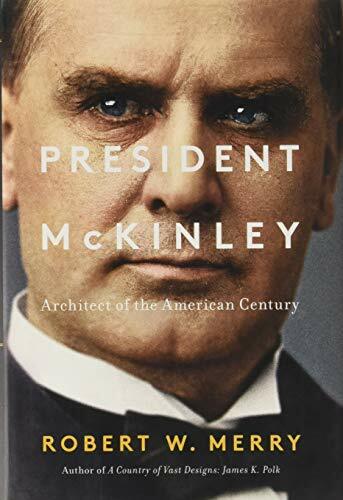 In Merry’s new book, President McKinley: Architect of the American Century, the author persuasively argues that McKinley, not Roosevelt, was the true architect of America’s rise to global power. Most Americans know about Roosevelt’s courage under fire during the Spanish-American War as a colonel of the “Rough Riders” in Cuba. Far fewer Americans know about McKinley’s equally brave acts during the American Civil War with the 23rd Ohio regiment at Carnifex Ferry, Virginia (now West Virginia), Antietam, and the Shenandoah Valley. The Civil War also provided McKinley with a mentor whose example inspired McKinley to enter politics: his fellow Ohioan Rutherford B. Hayes, a soldier turned lawyer who served in Congress, as Governor of Ohio, and later as President of the United States. McKinley started his political career as a county prosecutor and, like Hayes, subsequently served in Congress and as governor before becoming president. Merry describes McKinley’s rise to power in the context of the key personalities and frequent behind-the-scenes infighting among the Ohio GOP leaders of the late 19th century. After Hayes, four men dominated Ohio Republican politics: John Sherman, brother of the famous Union General, who served in the U.S. Senate and later as Secretary of State for McKinley; Joseph Foraker, who also served in the U.S. Senate and as governor; Mark Hanna, a wealthy businessman who became a Republican kingmaker and later a U.S. Senator; and McKinley. Of the four GOP titans, it was McKinley who achieved the ultimate political prize—the presidency—and Hanna who emerged as his most trusted adviser and key political operative. Merry shows how McKinley and Hanna outmaneuvered the GOP bosses in other key states to win the Republican nomination for president in 1896. The two issues that McKinley championed on his road to the White House were sound money (the gold standard) and protectionism (tariffs) for U.S. businesses. The United States was becoming the world’s greatest industrial power, and McKinley sought to facilitate that development. Though the author devotes adequate space to McKinley’s domestic policies and his personal life, including his devotion to his invalid wife, Ida, McKinley’s foreign policy dominates here. This is because events overseas and McKinley’s responses to them defined his presidency in history. Under McKinley’s leadership, the United States annexed Hawaii, moved closer to obtaining the land through which to build the Panama Canal, liberated Cuba and the Philippines from Spanish rule, became an overseas colonial power in both the Caribbean Sea and the Pacific Ocean, and became an Asian power. As Merry notes, America’s expansion as a global power may not have been McKinley’s “vision,” but when opportunities for global expansion presented themselves, he gradually and patiently seized them. In this sense, he was no different than Thomas Jefferson with respect to the Louisiana territory and James Polk with respect to Mexican territory in the west and southwest of North America. Due in large part to decisions made by President McKinley, America at the turn of the century was, in the words of Alfred Thayer Mahan, “looking outward,” playing a greater role in the grand chessboard of world politics. There seems little doubt that McKinley would have continued and expanded that global role had he not been assassinated by an anarchist at the Pan-American Exposition in Buffalo six months after beginning his second term as president. His vice-president and successor, Theodore Roosevelt, continued McKinley’s approach to the world and has received most of the credit for it ever since from historians. But there is more to this phenomenon than that. Most academic presidential historians admire progressive politics and presidents. Roosevelt was nothing if not progressive, especially in domestic policies. The most recent C-Span poll of presidential historians ranks Roosevelt the fourth greatest president. McKinley, meanwhile, is ranked below Kennedy, Wilson, Obama, Clinton, and Lyndon Johnson. Merry’s book is a needed corrective to the underestimation of McKinley by professional historians.